Start the process to customize your Birkenstocks today so they’re right for your foot. We’ll custom create your Birkenstock to your foot and ship them right door your door. Not a problem. Feel free to call us toll free at 888.477.0282 and we’ll sell you the shoe without customization and ship it right to your door. About the Arizona: This Birkenstocks classic two strap design is made to your unique foot shape to ensure it fits just right for you. The custom orthotic cork footbed supports your arches and adapts to your feet. Available in sizes 35 to 48 in regular and narrow width. Classic two-strap sandal in a variety of materials with fully adjustable straps. The go-to style in any situation. Upper material: Nubuck – Quality leather is buffed for a soft and velvety finish. 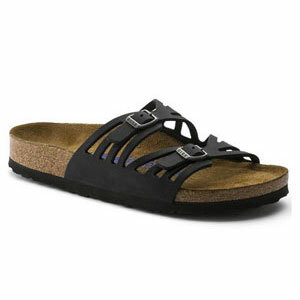 Footbed: The original Birkenstock footbed – Featuring pronounced arch support, deep heel cup, and roomy toe box. Footbed molds and shapes to your foot. The following colors are available year round. Other colors seasonally available. Ordering is Simple! Place your order online or by phone at 888-477-0282 and we will send the impression kit, with easy to follow instruction, via Priority Mail. When you receive the kit, simply follow the enclosed instructions, fill out the Order Information Form selecting your desired model, color and size and return the kit with the enclosed shipping label. 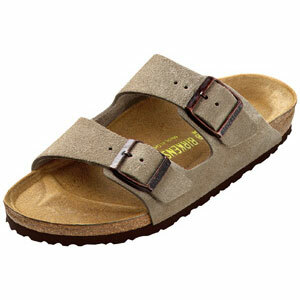 If the color and model are in stock, you should see your customized Birkenstocks within 7- 10 business days!! If you are unsure of your size or we determine the size should be changed we will contact you to discuss this before fabrication. Please include as much commentary about any foot problems as you can so we can design the sandals to suit your needs. Each pair of custom Birkenstocks is custom made to your provided foot model and warrantied for comfort, fit and durability*. Have questions about which model is best for you? Email us, or call 888-477-0282 Mon. thru Fri. 8:30AM to 5:00PM MST. We’re here to help you! Foot Dynamics custom Birkenstocks are custom made to your provided foot models. Unlike our custom foot orthotics, we use a foam impression tray method which allows us to create a model of your foot that is more accurate for size and contours used to make custom footwear. We will provide adjustments and modifications at no charge for the first 90 days. Custom Birkenstocks are not returnable, however. We will do everything in our power to solve fit or comfort problems and repair any defects in craftsmanship. Our custom Birkenstocks will require a break in period and will continue to mold to your feet to provide improved comfort with wear. Please follow the break in instructions carefully.